In my last post, I explained what event data is, now let’s discuss further some ways event data can be used. Last month was the anniversary of Back to the Future Day. 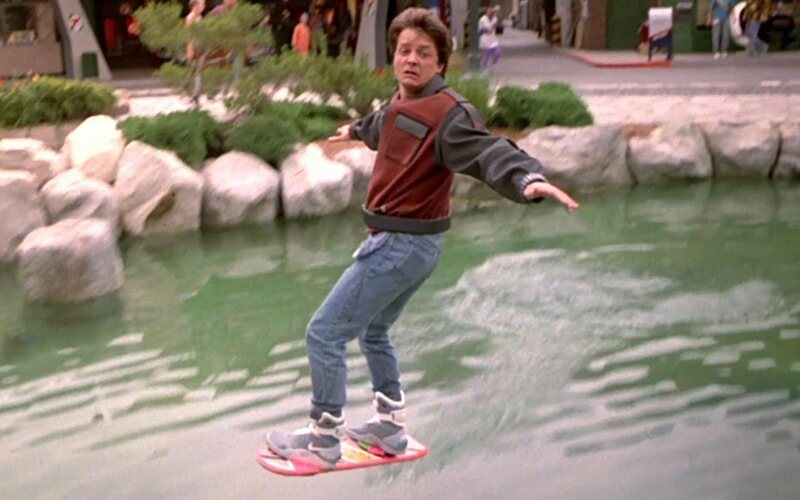 There was a lot of chatter across the internet addressing what Back to the Future II got right and wrong about 2015, and there was plenty of speculation on how the next 30 years will look. Event data, like the movie, is centered on the intersection of the past and future. Event data is at the foundation of behavioral analytics. Behavioral Analytics falls into the category of business analytics and focuses on how and why users behave the way they do when they interact with products and services over time. Behavioral Analytics allows us to not only understand what happened but more importantly, investigate why it happened. For instance, why did usage drop? Why did a new feature not perform as well as had been expected? Once you thoroughly understand why users behaved in a certain way, you can better anticipate how they may behave down the road. And that’s key: event data not only paints a picture of the past, it also provides a vision of the future. Root cause: Examines what precipitated an event. It is often used to determine what caused a negative experience and vice versa so that positive events can be repeated. A/B testing – A form of hypothesis testing with two variants that reveal how they are similar or how they differ. Growth – Uncovers what or how entities are communicating/interacting with products and services so that businesses can use this information to develop ways to drive business growth. Retention – Reveals how often something is used and how often the entity returns over time. Conversion – Tracks how an entity moves through a pre-determined path and locates where along the path the entity takes an action. Conversion typically employs funnels. Engagement – Looks at how much an entity is using a product or service. Engagement often looks at metrics like average session length and frequency of use. Churn – Measures the likelihood of an entity disengaging. Churn is also known as attrition, turnover or defection. We recently announced that Tinder has been using our solution to analyze its trillions of rows of event data. In the preliminary days of using Interana, Tinder noticed two things. One, that almost every question they had about their event data could be framed as a behavioral query. Second, the exploration and discovery of their event data led them to notice that a minority of users were immediately swiping right on all profiles. These users would only message a small portion of their resulting matches. In this case, the “what” was happening was clear. With the right analysis, Tinder was able to determine the “why”: These users were simply playing the odds and auto-swiping to increase the number of desirable matches while ignoring the matches in which there was never any real interest. It’s like a guy who approaches every woman he sees in a bar, brushing off every rejection in hopes that eventually some woman will say yes. This quantity over quality approach compromised the Tinder user experience. In the Back to the Future films, the characters were not only able to see the future but also change it. And once you know the “what” and “why” of user behavior, you can use that information to influence actions in the future. Knowing that certain users were swiping right on everyone and understanding why they were doing it, Tinder implemented a bouncer feature that limited the amount of “likes” each person gets per day. As a result, a swipe increased in value and those users stopped acting on every profile that caught their eye and began interacting more with their matches. Behavioral analytics uses yesterday’s event data to prepare for tomorrow. Of course, you can never completely predict how users will interact with a product or service – after all, Back to the Future II predicted a Cubs World Series win – but properly analyzed event data greatly increases the probably that you’ll get things right. Today, we’re announcing the beta release of Interana’s REST API. The API is deployed as part of the standard 2.19 upgrade or installation and it supports both single measurement queries and time series queries.